The little boxes of David Gascoyne. ANOTHER ENORMOUS BOOK appears representing someone’s life’s work in poetry, and again the problem arises of how to deal with it–to treat it as a unity, survey this unity, and finally sum it up—to produce a verdict on 66 years’ work. A certain uniform tendency in Gascoyne’s work may facilitate this, but basically I don’t think that’s how poetry works; that’s not what it is. It’s a collection of items each of which is or should be self-sufficient and independent, not even necessarily benefiting from reference to other items by the same author. Of course you can transgress the boundaries of the poem in many different ways, from biographical to ideological and there are “links” between poems by the one author from which you can define the temporal climate from which the poetry emanates, the poet’s sense of progression and purpose, possibly a whole aesthetic built up from the succession of poems over the years, and there are cultural and political horizons visible from the poem. But still there is an important sense in which the poem needs to stand alone, not necessarily a part of anything except language and experience. Even when poems are grouped into narratives, sequences, non-sequential gatherings or books where they clarify and reinforce each other more or less designedly, I think there is some form of completion demanded of each poem (it has to have a reason for ending). Faced with 460 pages of poetry the temptation is to slide immediately into comparative studies, since it is the easier option to ignore the poem’s completion and treat it as a part of something else. Gascoyne’s reputation preceded my reading. The one-sentence digest account of him is that he was at first a surrealist poet and later became a religious poet. Gascoyne’s case is particularly problematic because you could take four poems at random through the book and get four very different performances, though you could equally arrive by chance at four poems showing strong affinities. I was also nervous because Gascoyne’s reputation preceded my reading. The one-sentence digest account of him is that he was at first a surrealist poet and later became a religious (Christian) poet. Both of these I find worrying as they suggest a poetry leaning on or integrating into itself as its main substance something which is not poetry. With religion this is obvious, but surrealist poetry would also entail a commitment to something like a belief system, the belief that certain irrational or intuitive forms of wording (especially of substantives) will open doors onto subconscious realities, indeed to “the subconscious” itself, whatever that is. Subconscious was a harmless description and a useful tool of understanding when it was an adjective; when it became a noun it sank back into religion as a soul substitute, taking on itself the burden of our acts, capable of being “read”, apparently, but not of speaking. Surrealism and religion are both things which as they gain priority protect the poetry from criticism, as do a lot of social and political causes, becoming to some eyes the only justification for the poetry’s existence (increasingly in the present climate of anxiety and blame). Wanting to avoid, initially, early and late work I went for a book published in 1950, A Vagrant, which I remembered with respect, though I couldn’t remember why, and was relieved to find something quite different from what I feared, though with thematic and stylistic insistences which raised different problems. There was not a trace of surrealism, and not much more than a trace of Christianity, in four poems near the end of the book, and little sign either of the enfant terrible figure which Gascoyne is also supposed to embody. This is from the opening title-poem, which is a dramatic monologue spoken by a vagrant, mostly in this quite familiar language, a writing which would present few difficulties to readers acclimatized to Edith Sitwell or W.H. Auden, beyond its only occasional use of measure and rhyme. If this poet was a member, as generally held, of a trio of modernists in rebellion in the 1930s against the Auden poise and plainness, and paving the way for 1940s experimentation, he seems to have abandoned ship, and left it to Dylan Thomas and George Barker. BUT THIS IS no ordinary vagrant. As the monologue proceeds he cites Jesus, Marx, and Jung, uses occasional expressions in French and fears for the preservation of his “spiritual integrity”. It is an intellectual discourse on self and society which maintains a sense of poetical writing in a constant rhythmic poise with quite strong figuration and alliteration when it gets excited. The speaking voice, the vagrant, is clearly a thin disguise for the authorial self as poet, or the artistic self, and of a particular kind. There is no mistaking the tone of this claim, of the Romantic hero-poet-self who is outcast from society whether voluntarily or not and inhabits a superior alienated climate of enhanced perception and creativity, in abhorrence of the “average”. I am sharply reminded of Pete Seeger’s song about all the people who live in “little boxes, all the same.” But this mode is hundreds of years old, though rarely so blatant in its rejection and despising of the ordinary, the domestic, the commonality, though what Gascoyne seems particularly to reject is the bourgeoisie. This bohemianism is a position which is both aestheticist and oppositional, and, particularly as in the wolf imagery above, can lurch into suggestion of political subversion and the cancellation of the social order (“cells” replacing homes). It permeates Gascoyne’s poetry from beginning to end of his career not to mention being a recurrent and possibly dominant feature of poetry of the last 200 years or more, though stronger in the late nineteenth century than earlier. It is certainly still with us now whether declared or implied, whether in traditionalist or experimentalist writing, and it could be that the very concept of experiment in poetry embodies this idea in the need to produce a secret language, as much as the “accessible” poet parading his/her very special inner soul across the landscape. If these souls actually were the organs of enhanced or exemplary perception, of course, or the poet’s secret language actually was a necessary recourse against a false civilisation, there would be no problem. 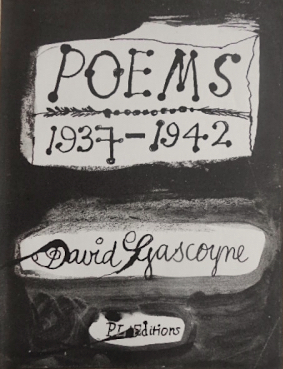 Gascoyne pursued this hope with skill and determination, sometimes desperation, throughout his career, intermittently creating impressively adventurous and purposeful, if dictatorial, poems. The poem “A Vagrant” stands as the prelude to the book of the same name, setting forth the poet’s vision of himself as essentially the outsider, in revolt against conventional poetry as well as England and society in general. This was hardly necessary. A Vagrant is a book of competent poems in various related modes all of which make clear the self-elected position of the author. 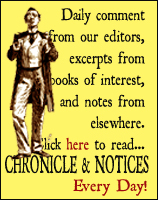 Most commonly the writing produces a strong declaratory talking in pentameter-length lines and mostly long sentences, expansively and with an emotional conviction evident in episodes of linguistic compaction, which can yet include in its repertoire a perfectly formed sonnet or a poem in quatrains, and never adopts the free-er disposition of Pound or Eliot, though the swift moves from one mode to another can suggest something of their ambitions. Contempt for the common lot emerges repeatedly, sometimes strongly as in “Demos in Oxford Street”, a disdainful view of the crowd in the street as “the mature / And really average population passing by, [ . . . ] of all surely the most /Average in any modern capital.” There is sometimes a mixture of clashing modes, as when one of these soapbox declarations is immediately followed by a despairing apostrophe rich in inverted citation: “O Sting! / Where is our life? Where is my neighbour, Love?” and that by a classic line of dignified summation: “We have hardened our faces against each other’s weariness.” This last sentiment is, of course, in conflict with the aspirational theme preceding it, the rejection of the ordinary, which results in an uncertainty as to what constitutes the “we”. The writing moves with skill from descriptive into symbolic monologue, establishing in the process a steady, slightly archaic, poetical tone. 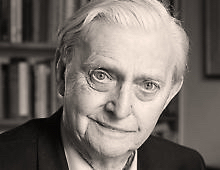 DAVID GASCOYNE’S FIRST book of poems, Roman Balcony, was published in 1932 when he was sixteen, and he was prolific for the next twenty years, developing a life-long habit of spending a lot of time in Paris, avoiding only the war years. In the 1930s he moved among the Parisian poets and artists, becoming familiar with Breton, Dali, Ernst, Eluard, Jouve and others, and considered himself to be a “surrealist poet” by the middle of the decade. From the first there is a strong sense in the writing of a personal pressure to break out of societal and existential confines, a yearning to transcend experience and inhabit greater and free-er spaces emotionally and intellectually. A poem may begin with an objective presentation — “Light of the sun over arctic regions / Presides, striking the sides of icebergs / With slanting oblique rays . . . ” — but after a few lines the scene is starkly, almost diagrammatically, interiorised: “On the heart’s bitter winter shines love’s face./ Breaking, a berg groans response . . . ”. Although this is a crude example, it shows the kind of poetical thinking which permeates his work, by which the world is represented as a theatre of the self, standing for an interior condition or acting as an entity against which the self has to be asserted, sometimes a threatening one. The writing moves with skill from descriptive into symbolic monologue, establishing in the process a steady, slightly archaic, poetical tone, while the terms by which the world is identified in this encounter become adventurous and irrational, soon running into surrealism, or his version of it. First rivers hide among their hair. And bows his head and feels my feet walk through his brain. And are afraid. They drop their nets and walk into the wall like smoke. I feel that Gascoyne had to push himself to reach this texture, aided in this case by the poem referring in it title to Salvador Dali, though I don’t think there are any images taken from Dali in the poem. The collection Poems 1937-1942 (published by Editions Poetry London in 1943 with eight drawings by Graham Sutherland) has been called a milestone in his career. It is here that Christianity enters, and with something of a crash, because whatever intimations there may have been previously there was nothing to anticipate the commitment and concentration of “Miserere”, the title of the section of eight poems which opens the book.2 The impression is of a sudden conversion, whereas his earlier poetry had merged hesitantly into surrealism and out again. But the situation remains similar, for in the rest of the book there is barely enough writing directly referencing Christianity for him to qualify as a “religious poet” and fortunately (I tend to think) the outburst of “Miserere” is followed by three larger sections headed “metaphysical poems”, “personal poems” and “time and place”. In the rest of his work, including A Vagrant, religion is still there and we are frequently reminded, even if only in passing moments. You cannot claim to be a surrealist by one or two lines of a substantial poem but you can show a religious conviction in one gesture, especially if it emerges at the ending of the poem as its resolution, as it tends to. And bring to light the dream out of our sleep. As sacrifice to the Void’s mouth in your own breast! It has been said that exclamation marks are a sign of the failure of the poem to reach the reader under its own steam. But although a tone like this is unlikely to be attempted now, the beliefs involved—the artist or poet offering him/herself as a sacrifice, wounded to redeem the world from its fall—are still to be found, including in unlikely corners of the academic avant-garde. This urge to loud declaration is evidently what made possible Gascoyne’s most strongly modernistic writing, his willingness to risk himself into outlandish figurations, his “Christ of revolution and poetry”. But it is also surely what hindered from getting beyond “modernistic” to “modernist” itself. It has also been said that in some poets the ambition to be poet is so strong that it drives out all the poetry. I wouldn’t say this of Gascoyne, but the idea hovers threateningly over most of his mature work. You could say that the same urgent ambition drove Dylan Thomas but in his case it was entirely folded into the poetry itself and into the rhythmic metaphors of his stories once he had got past the apocalyptic phase. Furthermore Thomas’s writing did not stand in a literary and artistic bohemian theatre but, however difficult it became, appealed in both prose and poetry to percepts of personal and terrestrial experience such as anyone would readily recognise; it spoke directly to the lived experience beyond the poet. Gascoyne’s poetry could certainly escape these strictures and did repeatedly, to produce, scattered through all the phases of his development, strong poems full of rich figuration, proud of their status as “poetry”. After A Vagrant his output fell off dramatically and the final section, “Later Poems 1956-1995” contains only 20 items. He had success with a longer (25pp) work, “Night Thoughts” of 1956, described as a “radiophonic poem” and broadcast with music by Humphrey Searle. The New Collected Poems reveals four poems of 1954 as earlier versions of this, which I myself prefer for their comparatively unambitious but dignified and calm account of their subject (a nocturnal ramble through London) which in the amplified version becomes a much weightier affair as the “I” becomes “we”. GASCOYNE’S MODERNITY RESTS mainly on rhetorical gestures inherited from the nineteenth century. For all the outlandish figuration he never ventured into the linguistic basis of the act, never regarded the machinery of transmission. This would not necessarily have meant falling into a wilful avant-garde inchoation but could have meant the cultivation of a stronger lyrical tension in such matters as lineation and sound-values. Basically, the structure of language stayed as it was: both surrealism and the prophetic urge forbade its disruption; it was needed in its stable form to connect the wild or monumental substantives into a discourse. The mechanisms of insistent persuasion and display leave a sense of a constant need to prove the author’s poetical qualification, and ultimately a sense of self-stimulation, which I also feel quite strongly in much of the work of George Barker. That others find this same disturbing trait in Dylan Thomas is undoubted (viz. Robert Graves: “A Welsh masturbator given to not paying his bills”). I’d insist that there is an essential distinction to be made in Thomas’s self-surrender into poetical language with its feet on the earth. But this is very much the impression of Gascoyne in bulk, and it is important to locate the poems which largely overcome this inclination, often by a stronger focus on exterior reality, in fact to reassert the principle of the self-sufficiency of the single poem. There must be a good fifty or more of these, though whether any poem is entirely free of lapse remains uncertain. Sang a fresh song to the thirsty hills. in which both the enfant terrible and the ninetenth-century poetaster (what could the dawn be but of a new day?) reassert themselves. The book is very professionally edited by Roger Scott, with bibliography, helpful and pertinent notes, and appendices of unpublished poems and of drafts, poems in facsimile and typescripts. There is no index (sob!). The Autumn-born in Autumn: selected poems. I WROTE AN account of Matthew Mead’s poetry which was published in PN Review no.167, 2006 (available on-line but only to subscribers) and see no reason to reconsider anything I said there about the course of his poetry, nor my conclusion: “If people think they know a richer, more judicious and more generous poetry than his in his generation, I’d be very interested to know where it is.” Since his death in 2009 I have been hoping for the appearance of uncollected works, perhaps including prose, but this selection in entirely from the five books published between 1967 and 2004. But it is a substantial selection, as it needs to be, for Mead was not a poet given to unexpected lapses or bouts of craziness, and it includes the four sequences which were his most extended and substantial achievement. Mead was a reliable craftsman from his earlier modernism (which it exactly is, whatever American critics say about modernism never having taken root in Britain, and anyway Mead lived in Germany) through the more direct address of his passionate and complex 1970s work to the extraordinary bitter-sweet stark verses of his old age. edited by Justin Katko and Kyle Waugh. 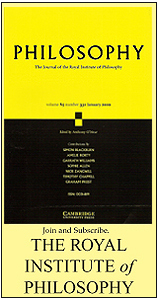 WHEN CARCARNET PUBLISHED Dorn’s Collected Poems in 2012 (reviewed in the Fortnightly here) it was known that there was material not included, but few suspected that it would amount to over half as much again. Nor is it all the anticipated late casual scribbles, done ten a day, which I usually call “squibs”, though most of it is. Nor are all these “squibs” empty miniatures of the “lunch with Jim at 5 o’clock” kind, but there are substantial poems and prose passages among them, full as ever of bitter jibes, praise of heretics and terrorists, demolition of recognised good and plain declaration that the entire material of the world is evil. The texts from before 1965, which I count as the turning-point in Dorn’s career, occupy nearly the first third of the book and include further local poems from his years in the west, and the kind of poem he called “songs”. These tend to be less tight, more discursive, than those which got into the books but still very much worthwhile. The Book of the Green Man. THIS LONG POEM arranged in four sections according to the seasons was first published in 1967 and belongs with the upsurge of anti-rational American poetry by people like Robert Duncan in the 1960s, leaning towards mysticism or “visionary” comprehension of the earth. But whereas a lot of that was self-consciously American or cosmopolitan, liable to be quite antagonistic to the mother country, this is a hymn of praise to England. It is based on two long visits in the early 1960s together with Jonathan Williams (an early publisher of Charles Olson) which were mostly spent visiting and contemplating sites with strong literary and artistic connections and the visionary qualities engaged there are built up from direct description of the landscape and reference to such as Vaughan, Blake, Samuel Palmer, Gilbert White, Francis Kilvert et al., referred to as “Romantic” but not extending much further forward than the Wordsworths. There is a great deal of quotation, merged with Johnson’s own poetry, in a free lineation which does not take up Poundian displacement but is centred on late 18th Century transgression of mechanistic process and maintains its linguistic confidence, always carefully delineating the new picture but metrically free. It is a matter of perceiving the divine through nature and constructing a sense of an earthy paradise from the pieces of this past and pastoral vision, through what Palmer called “the spiritual eye”. (As such it inhabits a world in which individual vision erases society and all its problems completely, but I am not here to criticise in this short note). I’m surprised it has lain out of print for so long for at has always had devoted followers among poets in UK and USA. TO THE CONTENTS of the Collected Poems of 2000 and The Face of It of 2007, this adds ten uncollected poems 2008-2011 and a Note of 1994 comprising a kind of poetical credo. There is also a note on every poem of a kind which raises interesting questions about his sense of transmission. Langley kept a record in his journals of every poem he wrote, with information clearly intended to elucidate, but consisting almost entirely of bibliography, and these “inventories” are reproduced as notes to the poems (with Shakespeare omitted as passim). Some poems have as many as twelve books and sections listed, though it is not clear to what extent any of them actively informed the writing, or to which they furnished particular phrases (there are no extended quotations in the poems) rather than contributed to the general sense of the poem. Langley saw himself as a learned poet, and was devotedly attached to certain authors, notably Adrian Stokes, Richard Wollheim, Iris Murdoch (as philosopher) and many others including, I was surprised to notice, Melanie Klein. It would be a fascinating exercise to work out from the notes whether Langley’s booklists are an indispensible disclosure of the poems, which he seems to imply, though he did admit, perhaps rather grudgingly, that a reader who has not read any of them could get “something”. These notes, which are not exactly about sources, but more about philosophical psychological and aesthetic propositions with which the reader may be expected to agree, are one way of extenuating Langley’s poems towards the reader, which is a necessary act, for they are deeply embedded in the particulars of his thought, solitary and silent meditations which are pursued until they become public matter. And perhaps this was his own preferred way. But I cannot help recalling the extremely helpful comments on particular poems contained in the 1994 interview with Bob Walker3 where the screen before the memory is transpierced again and again, admitting a retrospective view and, sometimes, the shaping force of sheer experience. It is something of a relief to notice that the quantity of relevant books tends to diminish with the more recent poems, some having only one citation, and some none at all. Peter Riley’s latest book is Due North (UK/US) (Shearsman, 2015), short-listed for the Forward first collection prize 2015. 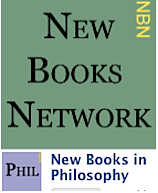 A compilation of his “Poetry Notes’ columns appears in The Fortnightly Reviews: Poetry Notes 2012-2014, published in 2015 by Odd Volumes, our imprint. This is the second of two columns reviewing ‘retrospective’ collections. The first is here. Publication: Monday, 1 February 2016, at 21:09.